Season 3 will begin production in the spring of 2013. 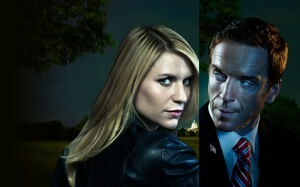 ‘Homeland’, produced by Fox 21, stars Claire Danes, Damian Lewis, Mandy Patinkin, Morena Baccarin, David Harewood, Diego Klattenhoff, Jackson Pace, Morgan Saylor, Jamey Sheridan, David Marciano and Navid Negahban. The series executive producers are Howard Gordon, Alex Gansa, Gideon Raff, Michael Cuesta, Alex Cary, Chip Johannessen, Henry Bromell, Meredith Stiehm, Avi Nir and Ran Telem. So good news for you ‘Homeland’ fans. Malin Akerman Joins Cast For Showtime’s Pilot Series ‘Billions’!!! This entry was posted on Monday, October 22nd, 2012 at 3:05 pm	and is filed under News, Television. You can follow any responses to this entry through the RSS 2.0 feed. You can skip to the end and leave a response. Pinging is currently not allowed. « Expect Two More ‘Paranormal Activity’ Movies!!! Hold it in your mouth if you can't swallow.